Big weekend, big games, big personalities, big… ach I dunno. 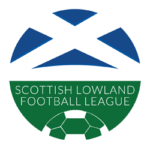 It’s GeoSonic Lowland League Roundup time! East Stirlingshire stretched their unbeaten to five league games after beating Cumbernauld Colts at The Falkirk Stadium. All the action came in the opening 45 minutes with the Shire taking the lead after seven minutes when David McCaughie was played in and rolled the ball into the far corner. This came after Sean Brown had ballooned the ball over the bar and the Colts threatened to equalise, but it was the hosts that scored again. Danny Ashe was played down the left wing and squared the ball across to Ross Allum to tap home. The Colts got one back as Fraser Team headed the ball pass Jamie Barclay before the home side regained their two goal advantage as Andy Rodgers looped a header over Jordan Pettigrew in the Colts goal. Cumbernauld threatened in the second half but Barclay dealt with all they could throw at him as the home side moves to within a point of Cumbernauld in the league table. Third placed Kelty Hearts improved on their goal difference and swiped Gretna 2008 away, dominating them at New Central Park in a 4-0 thrashing. An early penalty to Gretna was saved by Scott Christie to open the drama of the game. Debutant for Kelty, Kyle Wilson started the game only to be subbed after a nasty head knock on the 20th minute. However, these opening factors didn’t faze Barry Ferguson’s side as Brian Ritchie converted a Stephen Husband free kick to open the scoring. Two minutes later, Gretna suffered an own goal to double Kelty’s lead and then just before half time a brace in four minutes for Murray Carstairs secured a 4-0 victory. This result, however still leaves both sides sitting the same in the Lowland League table; Kelty sit third but with much improved goal difference and Gretna will still have to fight to climb out the bottom four. Civil Service Strollers extended their unbeaten run to eight matches with an emphatic 5-0 victory over Edinburgh Uni on Saturday. The home side were full of confidence heading into this one and within 15 minutes they were ahead when Ross Guthrie pounced on a slack clearance to make it 1-0. At half time the score was still 1-0. However, after the restart the hosts came flying out of the traps and doubled their lead through David Churchill. Andrew Mair then piled on the misery for Edinburgh Uni when he made it 3-0 after slotting home from a corner. By this point the Uni were done and they looked very vulnerable. Fortunately for the hosts David Churchill was able to take advantage of those vulnerabilities and grab his second of the game and Strollers fourth. With only moments to go Kerr Allan made it five and wrapped the game up. This result puts Strollers two points ahead of Spartans in 4th. BSC Glasgow stretched their unbeaten run in the league to 16 matches after a Tom Orr strike sealed a narrow victory at Broadwood Stadium. It took until the second half for the match to come alive as neither side could create a clear opening during the first period. After 63 minutes, BSC top scorer Orr raced through and struck into the bottom right corner to put the hosts in front. Drama unfolded with 12 minutes remaining as Reece Donaldson brought down Shaun Struthers inside the box and received a red card for his challenge and reaction to the referee. Orr had the chance to double Stephen Swift’s men’s advantage, but his penalty hit the post. Then in the 90th minute, the 10 men rallied and won a penalty after a handball in the box which saw Jamie Mills receive his marching orders from a second bookable offence. Darren Smith had the chance to level from the spot but fired wide from 12 yards as BSC collected three points to remain second whilst Gala are still in eighth position. Two second half strikes were enough to see University of Stirling rise to tenth in the table after a 2-0 victory over Whitehill Welfare at Forthbank on Saturday. With the first half a stalemate, it took until 65 minutes for the deadlock to be broken when Aidan Ferris forced the ball home for the opening goal. Nine minutes later, Blair Lyons doubled the hosts advantage which was enough to seal the points and propel Chris Geddes’ men up the table. For Welfare, the gap at the bottom is failing to show any signs of closing as Dalbeattie remain five points ahead with three games in hand. East Kilbride went eight points clear at the top of the table after a professional win over Vale of Leithen. The game started brightly for the visitors and they looked sharp. On 16 minutes ex Motherwell and Hibernian winger Chris Humphreys left the Vale full back for dead and sent in a delightful ball which marksman Craig Malcolm headed in to give Kilby the lead. The game went a bit flat after the goal and neither side really threatened. Kilby managed to hold on to their narrow lead and the game finished 1-0. Vale will have been disappointed to lose, however they may be relieved that they only conceded once given the strength of the Kilby side. A second from bottom Dalbeattie side will hope to grab a few points from falling mid-table squad Edusport Academy who last week grabbed their first point since November. The Islecroft side grabbed a crucial point in their last league game against University of Stirling. A win could be a huge step for them to finally climb away from the 14th position they have been stuck in for so long. Edusport, however, could use last week’s surprise 2-2 draw with second place BSC Glasgow to make sure they grab all the points in this fixture. 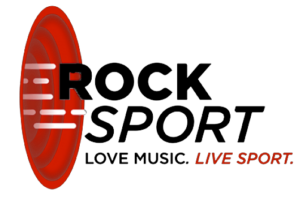 Despite only gaining two points in almost three months, Edusport will surely go in as marginal favourites this weekend and continue on from last week’s impressive performance.